Taking your first Disney Cruise can seem like a daunting task. It feels like there’s a lot to learn. One of the things that operates differently on a Disney Cruise vs Walt Disney World is how the photography options are handled. 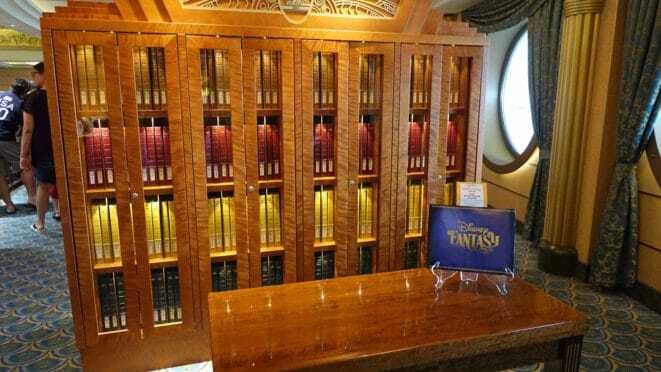 Photography on board Disney Cruise ships is handled by an outside vendor, so it’s important to know how it functions before sailing, so you’ll be informed on your purchase options. You can take your own photos of characters and any public space that is currently open to the public. You can take photos in the children and teen areas only during open house times. You can have a character attendant take your photo with your device. You cannot ask one of the professional photographers to take any photo with your device. 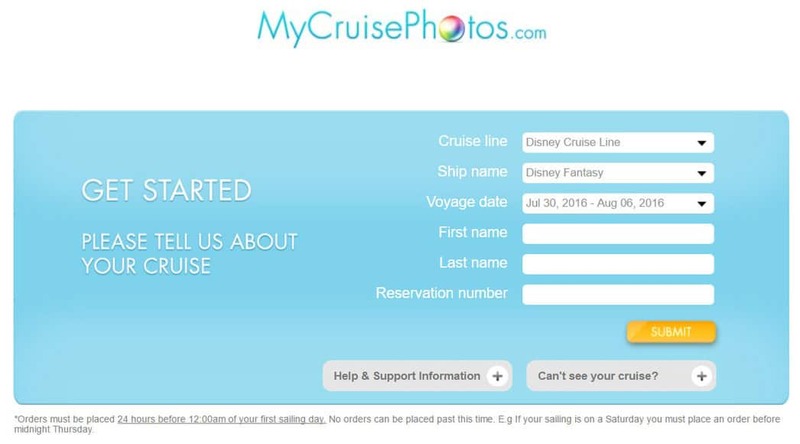 Does Disney Cruise Line photos work like Photopass in Walt Disney World? Sort of. 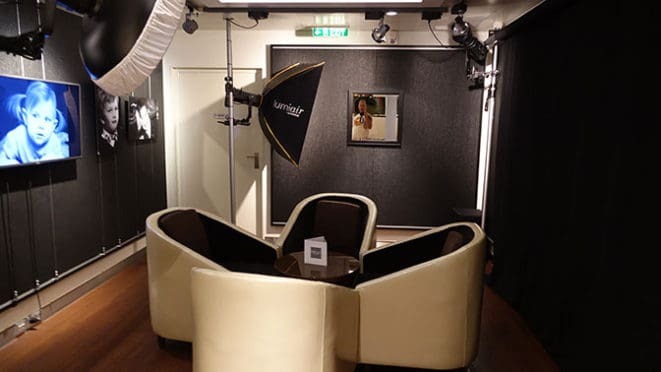 Professional photographers are on hand at most character meets, often appear at dinner and special backdrop locations on the ship. You may view your photos at Shutters onboard in both printed and digital formats. Not all photos will be created as a printed photo in your folio though. How do the photographers know our different photos should be linked with my stateroom? Many groups divide up during the day to take part in the kids clubs, teen clubs and variety of fun activities on board. All you’ll need to do is provide your room key or “Key to the World” to the photographer and your photos will be linked to your room! If you are traveling with a party in multiple rooms, just share your room key so they get linked to your account. Additionally, Shutters uses facial recognition software to know who belongs to your family. 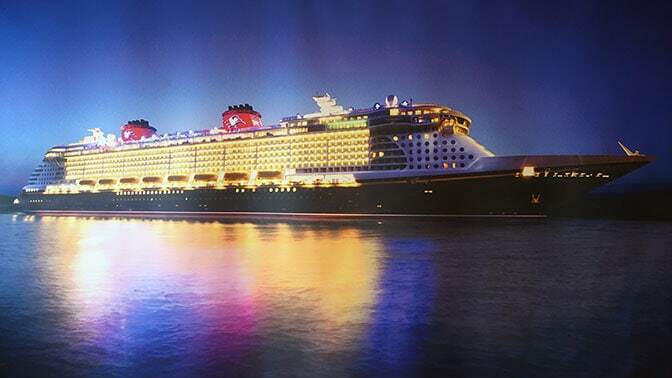 What type of photos are common on Disney Cruise Line? Character meet and greets – most of them offer a professional photographer. Detailed character schedules are on the Disney Cruise Line Navigator app. Backdrop or background photos like ones with the ship behind you or at the ship’s staircase. A schedule is posted each evening for any of these type of photos. Expect a long line, but they lines do die down later in the evening. Is there a professional studio on board? The ships do offer a small portrait studio at an additional cost. Check with Shutters when you are on board for additional details. Where do I view my prints on the ship? Visit Shutters on Deck 4 Aft on the Disney Magic and Disney Wonder and on Deck 4 mid-ship on the Disney Dream and Disney Fantasy, or stop by one of the interactive kiosks and use your Key to the World Card in the Photo Folder Finder to locate all of your photos taken during the cruise. You tap your Key to the World on the end of a bookcase and it will tell you which character case and book is yours to preview. Shutters digital also allows you to preview on a kiosk screen. What do the print photos cost on board? As of July 2016 each 8×10 print photo costs $19.95 and 6×8 prints were $14.95 each, so you can rack up a substantial charge for purchasing a multitude of photos. Do the digital photos come with the cool borders? Yes, the digital photos will include the same boarders that are on your print photos. If you wish to remove them, just use a photo editing software program to crop the image. Can I view my photos online after my cruise? No. Your photos are only available to view while you are on the ship. Should I buy a package? That depends on how many photos you’d like to take home with you. If you plan to purchase 7 or more photos, the Photobook is a great option as it includes 30 photos in the 20 page bound book. In addition to your photos, the story is told in the book using stock photography as well. The lower cost digital photo packages basically save you $50 on 10 photos and $150 on 20 photos. If you are taking a 7 day or longer cruise, it’s likely you’ll end up with well over a 100 photos to preview. How do they provide me the digital format photos? All digital photos are now provided on a USB and you’ll be allowed to preview them before accepting it to verify that they are your photos. You are licensed to use the photos for personal usage like memory books and to create Christmas cards, but cannot sell them as you would your own works. Are there discounts available for pre-purchase photo packages? MyCruisePhotos.com only offers a pre-cruise discount on the most expensive packages which includes all digital photos in one package and all digital photos and print photos in the other package. The pre-purchase discount is 15% off the regular price. All other packages are the same price on your cruise and are guaranteed to be the same cost. How do I arrange for pre-purchase of my photos? After logging in, you’ll see this screen. Choose “Products” at the top of the screen in order to sort through them. You’ll only find cruises listed for the next 3 to 4 months. 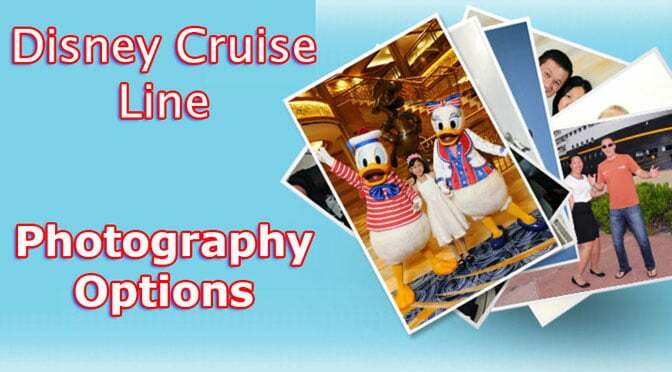 A reasonably priced option for your cruise photos is the Custom Photobook. It is a bound, hardcover photobook of the photos that you select during your cruise. The book is available on your last evening on the ship. Is there a limit to the number of digital photos? No, there is no limit to the number of digital photos that they will include for you with purchase of the upper end options. Visit any on board photographer. Present your Key to the World and have your photo taken! Take them home! Just stop by Shutters on the last morning of your cruise to obtain them. Does the AquaDuck offer a ride photo? Yes the AquaDuck usually offers a ride photo that is automatically added to your onboard account. You can view them in Shutters Digital. What if I have buyers remorse? If you purchase the All images packages, but decide on board that you didn’t have enough photos to make it worthwhile, you can visit guest services before your last night for a full refund. Feel free to ask any question I may have missed and share on Facebook, Pinterest and Reddit as you desire! What size prints do you get when it says + prints? Also, is this a prong of everything on the disc? 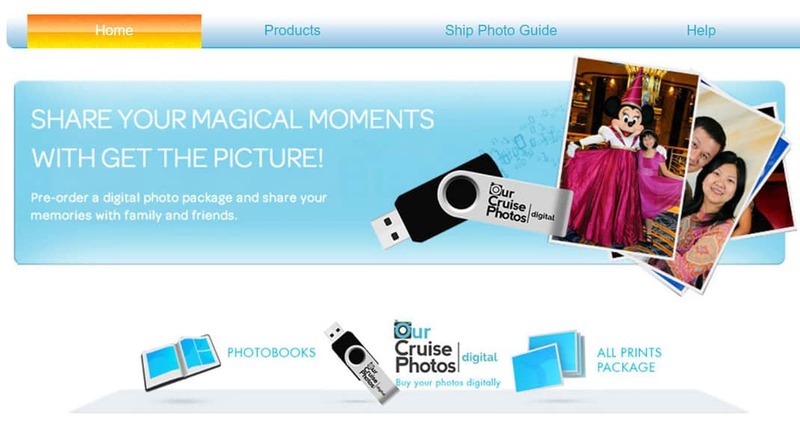 So, if we are going as a group – can one person pre-order a digital package for the digital images, and then link everyone else’s keys to their account (therefore linking photos) and receive digital images for the entire group at the end of the cruise? Just like you can link multiple Photo Pass cards for everyone in your group at the parks? Thanks! Is the $229.95 for 3/4 night before or after 15% discount? Thank you. Is there a set price for the full package for a 3 night cruise? If yes, do you know if they offer the same 15% discount for pre-purchase? Thanks! I’ll need to do some research for that. I’ll put an updated date at top when I have that info. Also, if you pre-purchase for the 15% discount, but then get on board and decide you didn’t take enough photos for it to be worthwhile, you can cancel for a full refund as long as it’s prior to the last night. For us, we always pre-purchase since we’d rather not kick ourselves later for not getting the discount. Do you know the price of the photo book? Wasn’t sure if it was $149.95 or if that was the price of something else. Thanks. No one told me this without my inquiring. There is a camera set up on the aqua duck that will take your picture as you go through it. Like a Disney ride pic. You can view and buy it but you have to scroll through all the aqua duck pics to find yourself. In my case the camera was broken the day we had gone on it but your pics might be available. Ask a photo guy how to find them on the screen. We sailed the Fantasy last fall, and I believe the AquaDuck uses facial recognition (from where they take your photo during the check in process prior to boarding). All of our “ride” photos appeared in our personal photo account for easy viewing – they just didn’t print any physical photos for our onboard folio (in the bookcase).